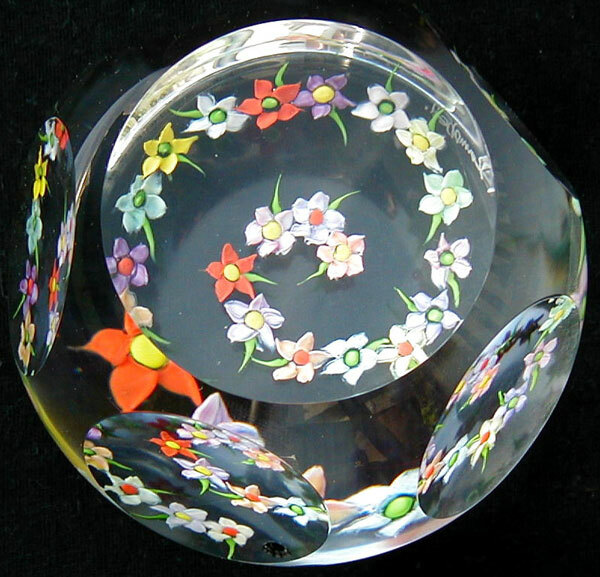 Paperweight artist, lampworker and designer. 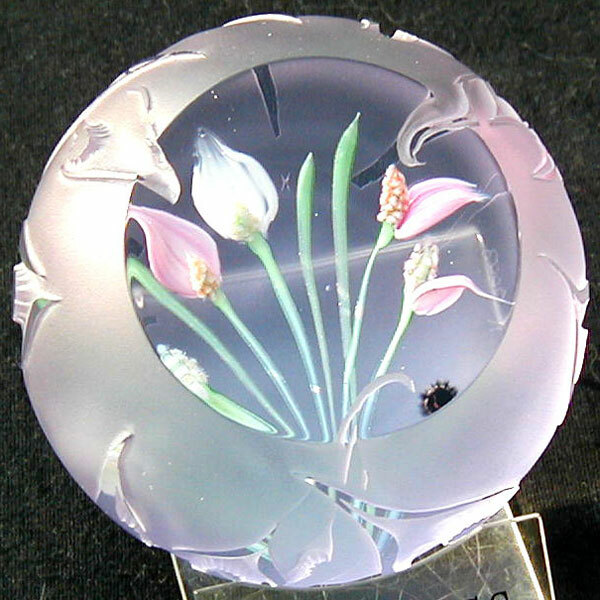 After studying visual art at Perth college I became an assistant lampworker at Caithness Glass on February 7, 2000. 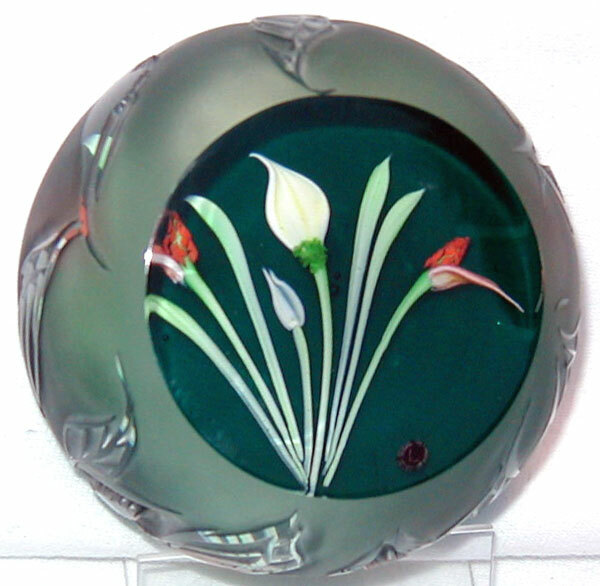 In July of 2001 Caithness launched me as a designer, introducing my first paperweight design entitled "Strawberry Teas" under the Whitefriars name. 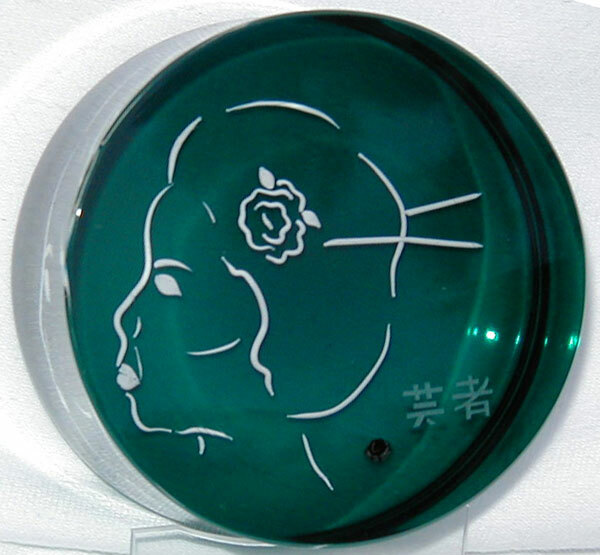 Since then my designs have made frequent appearances in the catalogues and I annually exhibit one-off pieces, designed, made and engraved by myself specifically for the Scottish Glass Society. 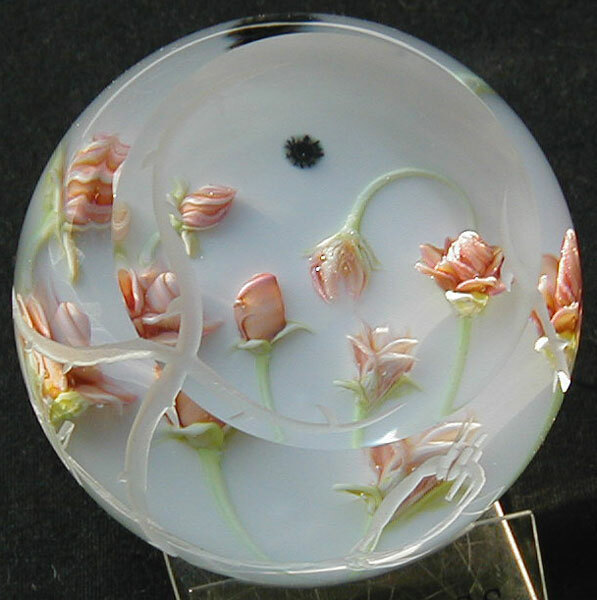 My current Caithness glass (2004) range of lampwork pieces are entitled "Tian Di Ren" : Heaven, Earth and Humanity, each of the three designs are limited to edition sizes of 100 pieces. Linda's Caithness work is also included in the Caithness catalogues here.